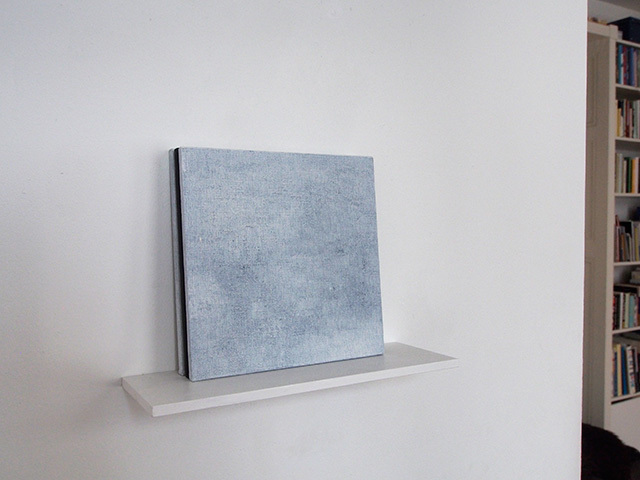 Janet Meester, Untitled (2015), stacked paintings, 3/20x20x0,6cm. Oil on linnen, MDF. Not in this picture but also included in this exhibition: Kyle Jenkins, Barbara Gaile, Clary Stolte, Douglas Witmer, Paul Raguenes, Richard van der Aa,Daniel Levine, and John Tallman. Joël Besse, Louise Blyton, Henk Delabie, , Patrick Sauze, Cecilia Vissers and Werner Windisch.